Hello friends, I am back with another Bluestack Trick. 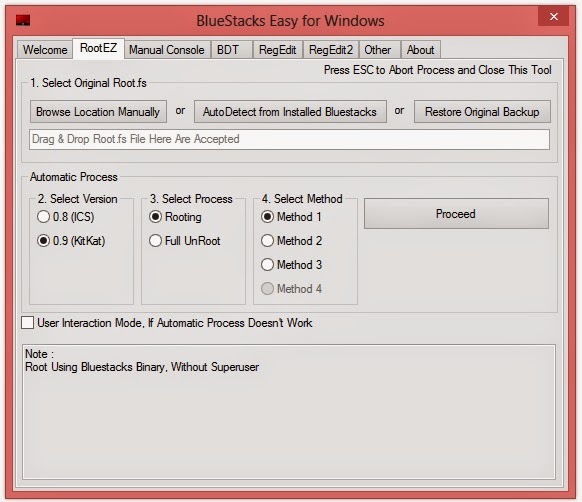 This trick is about How to Root Bluestacks. This trick works in almost any version of Bluestacks. I am going to provide you a link of the tool name Bluestacks Easy. A GREAT THANKS to its Developers for developing such a great tool. You can do all sort of changes in bluestacks using this tool. It is very simple and easy to use tool. 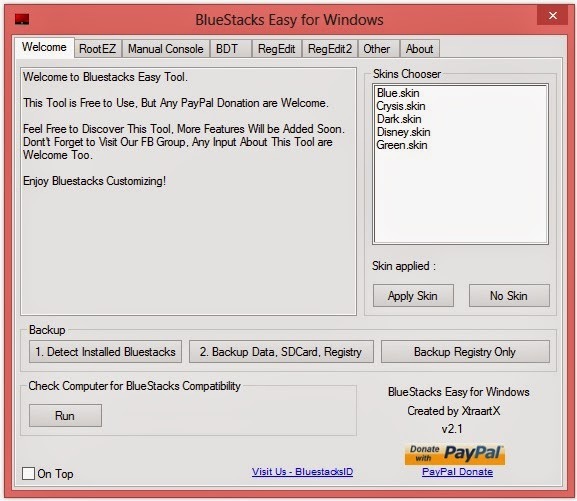 You can Root as well as Unroot Bluestacks by simply one click. Moreover Google Play store as well as Google Play services get installed with it and no need to download it individually. Also SuperSU and Root checker gets installed on its own. 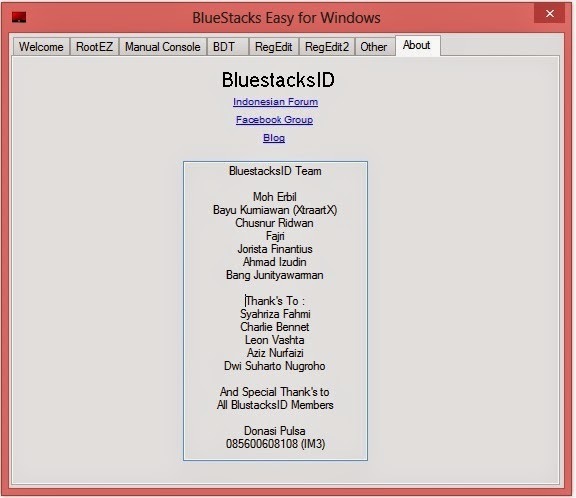 You can customize bluestacks according to your requirement. Also you can backup your Data, SDcard, and Registry. While rooting if anything goes wrong you can simply Restore the Backup provided by the Tool. A great thanks to its DEVELOPERS. Waiting for your Comments !!! What are Bluestocks? Can you explain for a "non" Techie? When I try to do that I get an error message:Make sure you are using original root.fs file.Please help me.